A site dedicated to the unanimously-loved produce that is craft beer. WHY：Connecting people and increasing happiness. Connecting people and increasing happiness. My CRAFT BEER Editor in Chief, Mr. Junosuke Nakamura of Five Good KK, a partner company of Harch was fascinated by the power of craft beer, and started a business importing it. It is really important for those of us leading a hectic life, to take time out once in a while to shoot the breeze with some friends or co-workers you get along well with over a couple of pints. The more time you have to do this, and the more you can connect with people, the happier you feel and the world becomes a lot nicer and more enjoyable place. HOW: Connecting people with craft beer. The concept of Harch is to “make media for a more enjoyable future,” and we felt this tied in with Mr. Nakamura’s desire to increase happiness through the world of craft beer, so we decided we should do something together. And from that idea, we created My CRAFT BEER. 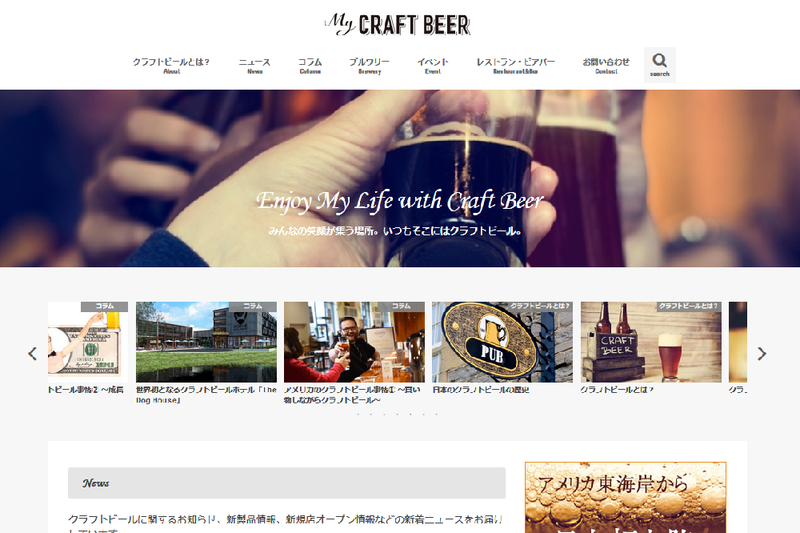 My CRAFT BEER is a comprehensive media site giving you all the latest info on new beers on the market, shops and craft beer events, as well as features on breweries from around the country and the restaurants and bars serving their microbrews. We operate in collaboration with Five Good KK, a company that imports craft beer to Japan. My CRAFT BEER isn’t just a place to give information on the internet, we also hold real life events where readers can meet and mingle with brewery owners and fellow craft beer fans.